While Dyslexia/Dyscalculia/Dysgraphia are all different, for the sake of conciseness, we will use the term Dyslexia to describe all three. With the correct intervention they will learn to read and succeed! Your child can be gifted and be dyslexic! This can be found as early as preschool - no need to wait until 3rd grade or when frustration happens! 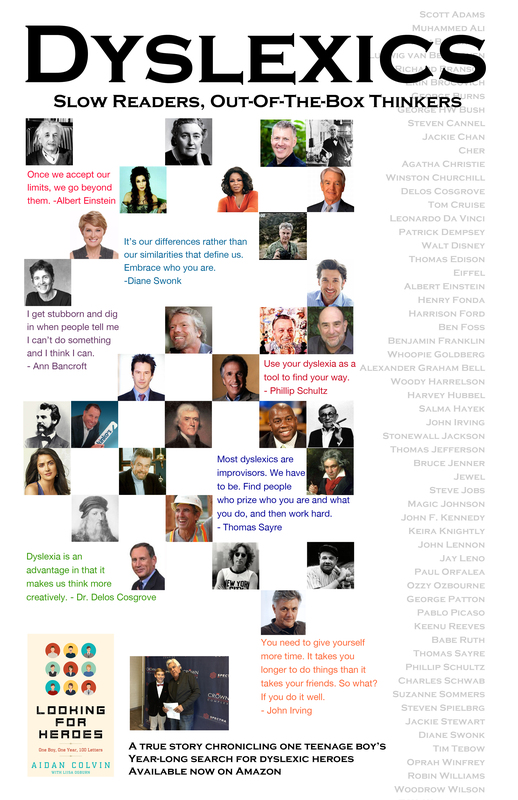 Success Stories Poster - awesome to show a child that they are in good company. Teacher Information - Share with your classroom teacher. They may not know about Dyslexia! Self Help Information - get started on teaching your child - why wait?!?!?! ?